We are also doubly honoured to have Rainbow Pilgrims, a story telling project about LGBTQ+ migrants and travellers in the Uk. Project founder Shaan Surat Knan and special guests from LGBT refugee groups invite you to a talk about journey and identity. 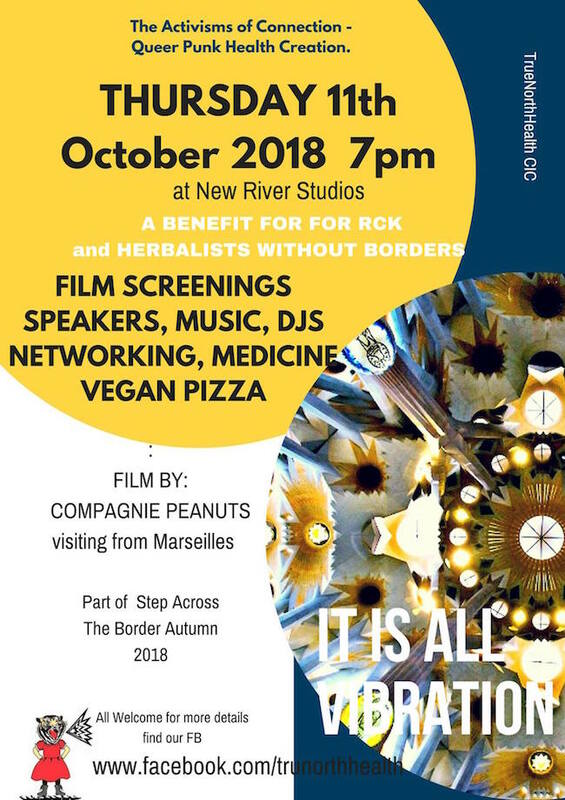 This public event is part of a 5 day Erasmus horizontal learning exchange with grass root activists from Berlin and Marseilles called STEP ACROSS THE BORDER who are visiting us, True North health, in London. We are a grass roots not for profit health organisation aiming to help people join up the dots for health creation for everyone.